The production of most bacterial proteases has always been with expensive refined substrates which tend to increase the production cost. Hence, a low-cost substrates and culture conditions capable of optimizing protease production by an isolated Bacillus sp. were studied. Bacillus sp. SW-2 which demonstrated the highest protease activity was selected and used for protease production by shake-flask fermentation technique at 180 rpm. The maximum protease yield for 72 h (2.697±0.19 IU mL-1) was achieved under optimized culture conditions of pH 9.0, temperature of 45°C and 5% inoculums density with soy meal (1%) and sugar cane bagasse (1%) as nitrogen and carbon sources of the fermentation medium. The protease yield obtained from using the cheap substrates at 72 h incubation was significantly (p>0.05) higher than that obtained from expensive substrates. The protease achieved >85.7±0.08% hydrolytic activities on the tested nitrogen wastes with soybean waste being the mostly hydrolyzed (96.3±0.13%). This result indicated the use of soy meal and sugar cane bagasse as rich substrates for maximum protease yield and the enzyme hydrolytic activity on nitrogen wastes suggests its application in environmental waste degradation. U.O. George-Okafor and E.E. Mike-Anosike, 2012. Screening and Optimal Protease Production by Bacillus sp. Sw-2 Using Low Cost Substrate Medium. Research Journal of Microbiology, 7: 327-336. The potential of microorganisms for the production of industrially important enzymes has stimulated interest in their exploitation for large scale production of extracellular enzymes (Kumar and Takagi, 1999). Microbial proteases are one of the most commonly used enzymes in various industries (Gupta et al., 2002). In industry, they are used for meat tenderization, cheese-making, dehairing, baking, brewing and in the production of detergent and digestive aids (George-Okafor and Odibo, 2011; Upadhyay et al., 2010). Microbial proteases are preferred to proteases from plant and animal sources for various reasons, which include the development of eco-friendly technology. A variety of microorganisms such as molds, yeasts and bacteria including Actinomycetes are known to produce proteases (Krishna, 2005). Among bacteria, Bacillus spp. are specific producers of extracellular proteases (Geethanjali and Subash, 2011). They have been isolated from various environments including intestinal fluid of Labeo rohita (Fresh water fish) (Geethanjali and Subash, 2011), partially degraded feathers (Manczinger et al., 2003) and lake water (Baber and Yenidunya, 2005). Their proteases have wide applications in industries including waste processing industries (Pastor et al., 2001); hence the need for their maximum production especially in Nigeria where wastes are not properly managed. For their production, media rich in nitrogen sources such as casein, gelatin, brewers yeast and carbon sources such as ground barley and lactose are generally used (Blieva et al., 2003). However, the production of protease is highly influenced by carbon/nitrogen ratio components of the medium including the metabolized sugars and other substrates. For instance, glucose (7.798 g L-1) and peptone (9.548 g L-1) served as carbon and nitrogen components used for the maximum alkaline protease production (4.548 g L-1) from Bacillus sp. (Adinarayana and Ellaiah, 2002), whereas ammonium hydrogen phosphate and cellobiose induced protease production from Aspergillus funiculosus G Smith (Shumi et al., 2004a). These reports showed that protease production varies in the presence of different carbon and nitrogen sources (Shumi et al., 2004b). With the increasing emphasis on cost effectiveness for enzyme production, the use of low-cost fermentation medium should be of paramount importance for commercial gain. Some of the low-cost substrates such as sunflower meal have been successfully utilized for protease production from Rhizopus oligosporus IHS13 (Haq and Mukhar, 2004). It is the understanding of this that prompted the research into screening for Bacillus sp. that can maximally produce extra- cellular protease from cheap substrates. Thus, the study was aimed at isolating potential Bacillus species for protease activity and screening various cheap substrates and culture conditions for optimal enzyme yield. Isolation and screening of the organism: The Bacillus sp. used for this study was isolated among other bacteria from soybean and Bambara wastes contaminated soils. The soil samples (100 g) were homogeneously mixed and serially diluted (10-1-10-3). Then 1 mL of each diluted sample was plated into Nutrient agar and incubated at 35°C for 48 h. The recovered isolates were screened for protease activity on Skim milk agar as previously described by George-Okafor and Odibo (2011). The best protease producer from soybean wastes which displayed the highest zone of inhibition was identified as Bacillus sp. SW-2 following the morphological and biochemical methods of Baber and Yenidunya (2005) as described by Collins et al. (1991). Some of the tests carried out on the pure isolate of this bacterial strain No. 2 include Gram stain, cell shape, motility, spore staining, position of spore, catalase, anaerobic growth, oxidase, flagellation, casein hydrolysis, nitrate reduction, DNase, citrate utilization, gelatin hydrolysis, starch hydrolysis, urea hydrolysis, and acid and gas production from glucose. Inoculum preparation and protease production: The inoculums were first prepared by adding a loopful (1.0 g) of the agar culture into 100 mL of the sterile Nutrient broth. Then a 5% of the prepared inoculums was added into sterile basal medium containing (w/v) 1% peptone, 1% sucrose, 0.5% yeast extract, 0.5% KH2PO4, 0.02% MgSO4.7H2O and 1% Na2CO3. Submerged fermentation was maintained at 35°C for 48 h under shaking condition. The fermented broth was centrifuged (8000 rpm) for 15 min at 4°C. The supernatant served as the crude enzyme. Measurement of enzyme activity: The protease activity was assayed by casein digestion method (Lowry et al., 1951) as followed by Upton and Forgarty (1977). One unit (IU) of protease activity was defined as the amount of protease that liberates 1 μmol of tyrosine under the applied condition. Substrate preparation: The substrates screened were sugar bagasse, fermented corn wastes, rice bran as carbon sources; soybean meal, Bambara meal and peanut cake for nitrogen sources. All the substrates were obtained locally from Nigeria. The carbon substrates were properly sorted to remove unwanted debris. They were washed with tap water and air-dried at dry season for 14-18 days. Prior to homogenization to fine powder, the air-dried substrates were oven-dried (60°C for 30 min) to facilitate homogenization. The resultant fine powders obtained after thorough sieving with muslin cloth served as carbon sources. For the corn, it was first washed, fermented for 24 h and sieved to obtain the wastes prior to the treatment as described above. Thereafter, 1% of each of the substrates including sugarcane bagasse was dissolved with other mineral salt components into 100 mL of distilled water and autoclaved appropriately using 250 Erlenmeyer conical flasks. The nitrogen substrates purchased from the local markets were stored at 4°C prior to use at 1%. Optimization of culture conditions for protease production: Optimum protease yield was studied at different pH (4-11), temperature (25-85°C), inoculums size (1-8%), incubation period (24-120 h) and different carbon and nitrogen sources (1%). Different pH was maintained using appropriate buffers; 0.1 M citrate buffer (pH 4-5), 0.2 M phosphate (pH 6-8) and phosphate-NaOH buffer (pH 8-11). For the determination of pH and temperature profile, the substrate was pre-incubated, respectively at different pH/temp. prior to the addition of the enzyme. In each case, the protease yield was measured as earlier stated. Substrate hydrolysis: The hydrolytic potential of the enzyme was tested with 1% nitrogenous wastes from soybean, peanut, cowpea and Bambara. The wastes were sorted to remove unwanted root and stem particles and then homogenized with dry miller. The wastes were made soluble in 0.2 M phosphate buffer (pH 9.0) by slow heating over the Bunsen burner for 3 min. Thereafter, they were incubated with equal amounts of the crude enzyme and the activity assayed as earlier stated. Skim milk dissolved in the same buffer served as the control. Statistical analysis: The mean and standard errors of mean (±SE) were calculated for each treatment. Differences observed among various tested variables were determined using Analysis of Variance (ANOVA) with a software application Statistical Package for Social Sciences (SPSS), version 16.0. Significance was considered where calculated p-value >0.05. Isolation and screening for protease production: Figure 1 shows the protease producing isolate characterized as Bacillus sp. SW-2 which demonstrated the highest protease activity (as indicated by zones of lyses (30-53 mm) among other unidentified isolates. The isolation of Bacillus sp. SW-2 from the waste contaminated soils was encouraging as their proteases have been reported to have application in waste processing industry (Pastor et al., 2001). Other Bacillus proteases of industrial importance have also been reported by several authors (Pawar et al., 2009; Abusham et al., 2009; Olajuyigbe and Ajele, 2005; Al-Shehri and Yasse, 2004). These reports gave support to the importance of further studies carried out for the optimization of culture conditions for maximum protease yield. Effect of pH and temperature: In this study, maximum enzyme production was observed in the culture medium of pH 9.0 (Fig. 2). However, a relatively high enzyme yield (>64±0.35%) was achieved between pH 7 and pH 10, with lowest yield at pH 4.0; indicating the organism to be alkaliphilic in nature which consequently produced alkaline protease (Kanekar et al., 2002; Horikoshi, 1971). A similar result (pH 9.0) and closely related one (pH 10) were obtained from proteases produced from a Bacillus sp. and B. halodurans (Ibrahim and Al-Salamah, 2009; Naidu and Devi, 2005). Generally, pH of a culture medium affects both the morphological and physiological characteristics of an organism. It is very important in enzymatic studies as it strongly affects many enzymatic processes and transport of compounds across the cell membrane. Higher protease yields (>75.3±0.12%) were obtained in fermentation maintained between 35 and 55°C, with optimum yield (100±0.34%) at 45°C (Fig. 3). However, temperatures beyond 65°C were observed with less than 50% protease yield. The optimum temp at 45°C is closely related to maximum protease production by Bacillus licheniformis at 50°C (Mao et al., 1992) but at variance with the report by Abusham et al. (2009) which recorded optimum temp at 37°C for both protease production and growth of the organism (B. subtilis). The reduced enzyme yield at temp greater than 65°C could be linked to the enzyme conformation changes or degradation at higher temp. Temperature plays an important role in both the synthesis and excretion of the enzyme through the cell membrane for extracellular enzymes. The temperature requirement for growth may not necessarily be the same for optimum enzyme production as observed in this study where the growth temp was at 35°C while that of enzyme production was at 45°C. High enzyme yields achieved on a wide pH and temp range is an advantage for proper regulation of these parameters under large-scale production. Effect of carbon and nitrogen sources on protease production: All the tested carbon sources enhanced protease production (>58.3±0.72%) but optimum production (100%) was observed with 1% sucrose (Table 1). Although maximum protease production was achieved with sucrose, its high cost prohibits its utilization for commercial production (Suresh et al., 2008); hence the need for the utilization of cheap carbon sources such as sugar cane bagasse and rice bran which enhanced protease yields (>78.7±0.38%). However, limited information is available for the utilization of sugar cane bagasse for the production of proteases from bacteria. It has been used for the production of cellulolytic enzymes by Trichoderma sp. FETL, c3-2 via solid state fermentation (SSF) technique (Pang et al., 2006). Rice bran, on the other hand, has been greatly used for enzyme production by fungi using SSF technique. Similarly, it was reported to be the carbon source for the production of thermostable alkaline protease from Bacillus species (Naidu and Devi, 2005). The nitrogen sources tested were peptone, soybean meal, peanut meal and Bambara meal. Maximum enzyme production was achieved with 1% soybean meal (Table 1). This result is in concurrence with the report of Ibrahim and Al-Salamah (2009) which recorded soybean meal as the best nitrogen source for protease production by Bacillus halodurans. Soybean was also shown to stimulate protease production in the marine bacterium Teredinibacter turnerae (Elibola and Moreira, 2005). In comparison with other tested nitrogen sources, 1% peptone which was reported to be the best inducer of proteases by many authors (Kamath et al., 2010; Geethanjali and Subash, 2011) served as the control (100%). However, its stimulation of enzyme production was significantly (p>0.05) less than that achieved with soybean (125.7±0.94%). This result gave an indication that the best nitrogen source for enzyme production is quite different in microorganisms. The preference of less expensive soybean meal could be explained from the fact that the organism preferred more slowly metabolized or partly hydrolyzed proteins. In many organisms, synthesis of proteases is repressed by accumulated amino acids that may result from highly metabolized N-substrates (Degering et al., 2010). In most cases, the production of extracellular proteases is known to be sensitive to repression by different carbohydrates and nitrogen sources. Inoculum size: The effect of the inoculums size (Fig. 4) showed that the maximum protease production (100%) was achieved with 5% v/v cell density. Similar result was reported by Abusham et al. (2009) on 5% inoculums size for optimum protease production by Bacillus subtilis. However, further increase in inoculums size resulted in the decrease for enzyme production. The decrease could be explained on the ground that high cell density lowered surface area to volume ratio of the medium. Size of the inoculums is an important biological factor that creates a balance between the biomass and available materials that enhance optimum enzyme production (Sandhya et al., 2005). Influence of incubation periods on protease yield: The effect of incubation periods on protease production was studied. The maximum secretion of enzyme was at 72 h, both for fermentation with cheap and more expensive substrates (Table 2). Such maximum enzyme production at 72 h was observed by Ikram-Ul-Haq et al. (2006) and Rauf et al. (2010) on protease production by Penicillium chrysogenum and Rhizopus oligosporus, respectively. However, the result was contrary to respective optimum protease yields achieved at 48 and 96 h by Bacillus sp. using soybean and rice bran substrates (Ibrahim and Al-Salamah, 2009; Naidu and Devi, 2005). A gradual decrease in enzyme units was observed with increase in incubation period; suggesting the enzyme role as a primary metabolite (Rauf et al., 2010). The pattern of decrease in enzyme yield after 72 h differed with the substrates used. The enzyme yields recovered from cheap substrates at 72 and after 72 h were higher (>5.4/14.7%) than that obtained from expensive substrates; an indication of achieving cost effectiveness in utilizing those substrates for protease production. Hydrolytic activity of the enzyme on protein wastes: Table 3 shows the hydrolytic potentials of the enzyme assayed under optimum cultural conditions. The skim milk which served as the control was mostly hydrolyzed. However, the crude enzyme demonstrated some hydrolytic activity (>85.7%) on the tested protein wastes; an evidence of its biotechnological importance for exploitation. Based on these results, it becomes necessary to carry out a follow-up study on the purification and characterization of the enzyme. This will clearly remove fears of encountering difficult enzyme recovery often associated with the use of unrefined substrates. It will also indicate the full characteristic potentials of the isolated enzyme for other industrial uses. The fact that the optimum protease production was achieved with medium containing inexpensive substrates, is a strong indication of achieving cost effectiveness for its maximum utilization. Furthermore, its waste degradation potential directly confirms its exploitation for commercial use as proteolytic enzyme for environmental clean-up. This enzyme property, if considered, will help to alleviate the problem of waste management, which is chemically expensive. Therefore, the study gave an insight on the adequate materials to use for its maximum production and its biotechnological exploitation as a hydrolytic enzyme. This result is very interesting and encouraging because most previously reported enzyme production by Bacillus spp. was achieved with more refined and expensive substrates. However, there is still need to try these substrates in other strains of Bacillus species for protease production. The authors thank Mrs. S. Osigwe who sent her technician to help in the washings of the glass wares used for the research work. The authors appreciation also goes to Mr. O. Asogwa of the Department of Mathematics and Statistics, Enugu State University of Science and Technology, who analyzed the data statistically. More thanks to Prof. Nduka Okafor and Prof. F.J.C. Odibo who were our scientific advisors. Adinarayana, K. and P. Ellaiah, 2002. Response surface optimization of the critical medium components for the production of alkaline protease by a newly isolated Bacillus sp. J. Pharmacy Pharmaceut. Sci., 5: 272-278. Al-Shehri, M.A. and M.S. Yasser, 2004. Production and some properties of protease produced by Bacillus licheniformis isolated from Tihamet Aseer, Saudi Arabia. Pak. J. Biol. Sci., 7: 1631-1635. Baber, I. and E. Yenidunya, 2005. Identification of Alkaliphilic Bacillus species isolated from Lake Van and its surroundings by computerized analysis of extracellular protein profile. Turk. J. Biol., 29: 81-188. Blieva, R.K., Z.E. Safuni and Z.A. Iskakbaeva, 2003. Effect of various sources of nitrogen and carbon on the biosynthesis of proteolytic enzymes in a culture of Aspergillus awamori 21/96. Prikl. Biokhim. Microbiol., 39: 213-216. Collins, C.H., P.M. Lyne and J. Grange, 1991. Identification Methods. In: Collins and Lyne's Microbiology Methods, Collins, C.H., P.M. Lyne, J.M. Grange (Eds.). 6th Edn., Heinmann Publishers Ltd., London, UK., pp: 96-114. Degering, C., T. Eggert, M. Puls, J. Bongaert, S. Evers, K.H. Maurer and K.E. Jaeger, 2010. Optimization of protease secretion in Bacillus subtilis and Bacillus licheniformis by screening of homologous and heterologous signal peptides. Applied Environ. Microbiol., 76: 6370-6376. Elibola, M. and A.R. Moreira, 2005. Optimizing some factors affecting alkaline protease production by a marine bacterium Teredinobacter turnirae under solid substrate fermentation. Process Biochem., 40: 1951-1956. Geethanjali, S. and A. Subash, 2011. Optimization of protease production by Bacillus subtilis isolated from mid gut of fresh water fish Labeo rohita. World J. Fish Mar. Sci., 3: 88-95. George-Okafor, U.O. and F.J.C. Odibo, 2011. Purification and Some Properties of Thermo-stable Alkaline Serine Protease from Thermophilic Bacillus sp. Gs-3. J. Biol. Sci., 11: 299-306. Gupta, R., Q. Beg and P. Lorenz, 2002. Bacterial alkaline proteases: Molecular approaches and industrial applications. Applied Microbiol. Biotechnol., 59: 15-32. Haq, I.U. and H. Mukhtar, 2004. Biosynthesis of proteases by Rhizopus oligosporus IHS13in low-cost medium by solid state fermentation. J. Basic Microbiol., 44: 280-287. Horikoshi, K., 1971. Production of alkaline enzymes by alkalophilic microorganisms and alkaline protease produced by Bacillus No. 221. Agric. Biol. Chem., 35: 1407-1414. Ibrahim, A.S.S. and A.A. Al-Salamah, 2009. Optimization of medium and cultivation conditions for Alkaliphilic Bacillus halodurans. Res. J. Microbiol., 4: 251-259. Ikram-Ul-Haq, H. Mukhtar and H. Umber, 2006. Production of protease by Penicillium chrysogenum through optimization of environmental conditions. J. Agric. Social Sci., 2: 23-25. Kamath, P., V.M. Subramanyam, J.V. Roa and P.V. Raj, 2010. Optimization of cultural conditions for protease production by a fungal species. Indian J. Pharm. 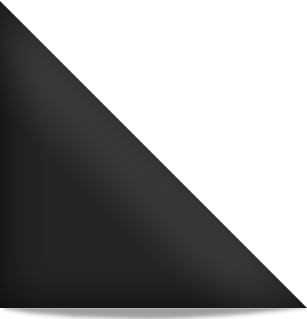 Sci., 72: 161-166. Kanekar, P.P., S.S. Nilegaonkar, S.S. Sarnaik and A.S Kelkar, 2002. Optimization of protease activity of alkaliphilic bacteria isolated from an alkaline lake in India. Bioresour. Technol., 85: 87-93. Kheng, P.P., D. Ibrahim, L. Poppe, G. Szackacs and I.C. Omar, 2006. Production of cellullolytic enzymes by a newly isolated, Trichoderma sp. FETL c3-2 via solid state fermentation grown on sugar cane baggase: Palm kernel cake as substrates. Pak. J. Biol. Sci., 9: 1430-1437. Krishna, C., 2005. Solid state fermentation system-An overview. Crit. Rev. Biotechnol., 25: 1-30. Kumar, C.G. and H. Takagi, 1999. Microbial alkaline proteases: From a bioindustrial viewpoint. Biotechnol. Adv., 17: 561-594. Lowry, O.H., N.J. Rosebrough, A.L. Farr and R.J. Randall, 1951. Protein measurement with the folin phenol reagent. J. Biol. Chem., 193: 265-275. Manczinger, L., M. Rozs, C. Vagvolgyi and F. Kevei, 2003. Isolation and characterization of a new keratinolytic Bacillus licheniformis strain. World. J. Microbiol. Biotechnol., 19: 35-39. Mao, W. and R. Pan and D. Freedman, 1992. High production of alkaline protease by Bacillus licheniformis in fed-batch fermentation using a synthetic medium. J. Indust. Microbiol., 11: 1-6. Naidu, K.S.B. and K.L. Devi, 2005. Optimization of thermo-stable alkaline protease production from species of Bacillus using rice bran. Afr. J. Biotechnol., 4: 724-726. Olajuyigbe, F.M. and J.O. Ajele, 2005. Production of dynamics of extracellular proteases from Bacillus sp. Afr. J. Biotechnol., 4: 776-779. Pastor, M.D., G.S. Lorda and A. Balatti, 2001. Protease obtention using Bacillus subtilis 3411 and amaranth seed meal medium at different aeration rates. Braz. J. Microbiol., 32: 6-9. Pawar, R., V. Zambare, S. Barve and G. Paratkar, 2009. Application of protease isolated from Bacillus sp. 158 in enzymatic cleansing of contact lenses. Biotechnol., 8: 276-280. Rauf, A., M. Irfan, M. Naleem, I. Ahmed and H.M.N. Iqbal, 2010. Optimization of growth conditions for acetic protease productions from Rhizopus oligosporus through solid state fermentation of sunflower. Int. J. of Agric. Biol. Sci., 1: 40-43. Sandhya, C., A. Sumantha, G. Szakacs and A. Pandey, 2005. Comparative evaluation of neutral protease production by Aspergillus oryzae in submerged and solid-state fermentation. Biochemistry, 40: 2689-2694. Shumi, W., M.D.T. Hossain and M.N. Anwar, 2004. Production of protease from Listeria monocytogenes. Int. J. Agric. Biol., 6: 1097-1100. Shumi, W., M.T. Hossain and M.N. Anwar, 2004. 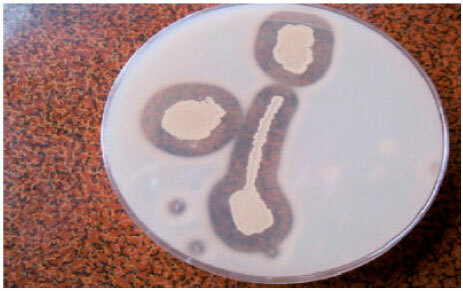 Isolation and purification of fungus Aspergillus funiculosus G. Smith and its enzyme protease. Pak. J. Biol. Sci., 7: 312-317. Suresh, K., R. Harisaranraj, S.B. Saravana and J. Priya, 2008. Optimization of environmental and nutritional conditions for the production of alkaline protease by a newly isolated Bacillus cereus from decaying organic soil. Res. J. Biotechnol., 3: 34-39. Upadhyay, M.K., R. Kumar, A. Kumar, S. Gupta and M. Kumari et al., 2010. Optimization and characterization of an extracellular proteases from Aspergillus flavus MTCC 277. Afr. J. Agric. Res., 5: 1845-1850. Upton, M.E. and W.M. Forgarty, 1977. Production and purification of thermo-stable amylase and protease of Thermomonspora viridis. Applied Microbiol., 33: 59-64.